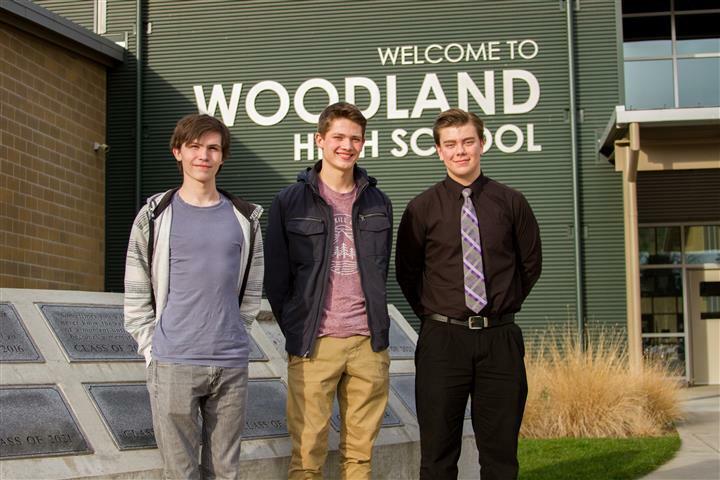 Three seniors at Woodland High School – Evan Ailinger, Michael Gabalis and Orion Hollar – recently received their results from their Scholastic Aptitude Tests (SATs) and were excited to discover they each earned a perfect score – 800 – on the math section of the test. Many students planning to attend college take an assessment test called the Scholastic Assessment Test (or SAT), an admission requirement for many colleges and universities. The College Board, the organization which oversees the SAT as well as Advanced Placement (AP) class requirements, designed the SAT to measure students’ knowledge in a variety of content areas including language arts, analytical skill and mathematics. Since school system requirements and grading procedures vary state-to-state (for example, some states give students one or two extra GPA points for each AP class they take), many U.S. colleges use the SAT as an admission requirement. With all students taking the same test, the standardized results provide admission boards with a measurement of applicants’ levels of knowledge regardless of the school attended or GPA received. How rare is a perfect 800 score? The College Board doesn’t release the exact number of students who receive 800 in each section of the SATs each year, however the organization does say that the number who receive a perfect score in any section is less than 1%. Using 1% as a baseline, the possibility of three students taking the SAT at the same high school receiving perfect math scores is less than 0.0001%. 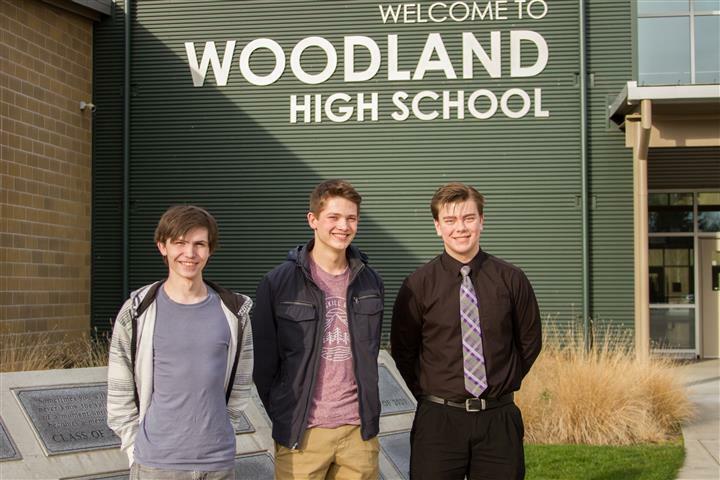 In other words, the chance of three Woodland High School students receiving perfect math scores the same year is quite literally less than one-in-a million. What do the students feel led to their success on the SATs? How did the students prepare for the SAT?